A Group B pickup? That’s right! A Peugeot 504 Pickup Truck was approved for homologation in 1982 to compete in the Safari Rally. This rugged French truck was and still is a mainstay in African countries. With thousands produced it was simply a matter of applying for a number with FISA. It was one way to enter a strong proven 4WD vehicle into a rally where durability in rough conditions was the name of the game. Its important to note that it was carried from Group 4 into Group B.. therefore it may havecompeted in Group B but was not built for Group B. Driven by Kenyans Johnny Hellier the Marshalls sponsored 504 placed 7th overall in the 31st Marlboro Safari Rally of 1983 and 15th the following year. His team mate Basil Criticos had a DNF when his gearbox failed. The 205 was Peugeot’s spectacular recovery following the difficult years after the takeover of Chrysler Europe. The 205 GTI, a real little flier, sets a new standard for sporty driving and roadholding for driving enthusiasts, raises the image of the 205 the following year and gives a turbo boost to the commercial success of the “sacré numéro” of the Peugeot range. The T16 competition models and its victories in the world championships gain an international image for Peugeot and establish its prestige and success definitively. The Peugeot 205 Turbo 16 shocked the rally world when it dominated the 1984 Tour de Corse rally for the first two days, before pilot Ari Vatanen lost control while driving through a puddle and crashed. 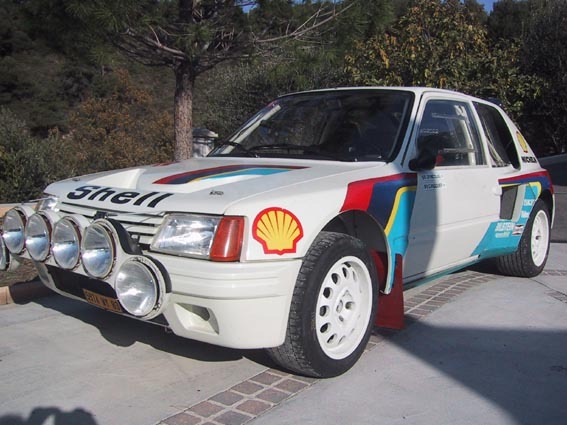 What fascinated some rally observers was the completely different approach taken by Peugeot compared with Audi; the 205 T16 had four-wheel-drive and about between 350 and 450 hp, but it had a space frame, mid-engine layout, a design later adopted by many competitors. The 205 T16 was impressive to spectators, and frightening to competitors – it won on its third outing, the 1984 1000 Lakes rally. 1985 was utterly dominated by Peugeot, despite losing lead driver Ari Vatanen in a near-fatal crash in Argentina. Vatanen hit a washout at high speed and rolled many times, during which his seat mountings broke. 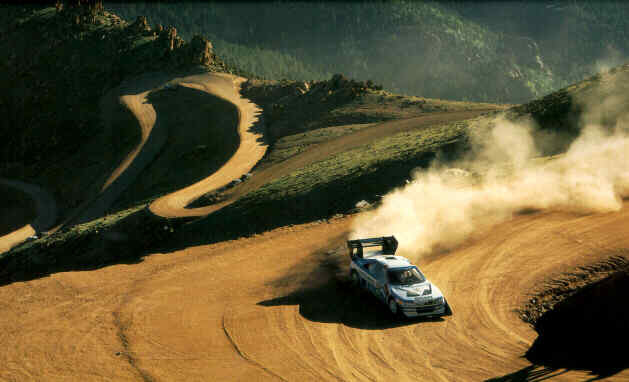 Vatanen was out of competition for over a year, but returned to win the prestigious Paris-Dakar rally and the Pikes Peak hillclimb in America. Vatanen’s teammate Timo Salonen picked up the reins and comfortably won the driver’s title, bringing Peugeot the constructor’s championship in the process. The final event of 1985, the RAC rally in England, presented a new challenge for Peugeot. Lancia, Ford, and Rover introduced new and improved machinery, plus Audi had recently debuted the S1 Quattro, Peugeot once again won both titles, this time with the young Juha Kankkunen fending off the challengers.